Today we bring you the best recovery software for Windows 10, 7, 8, XP, and Vista. All of these tools are great to work with and are free. They will save you from a lot of trouble after accidental or intentional permanent deletion of files or hard drive format without creating a backup. You can utilize any of this recovery software to recover all your lost data back with a few clicks. In a computer, laptop, cell phone, pen drive, or any other device data loss is one of the most common problems a user has to face. It can be either by deletion or a malware or virus that corrupts your storage. In a situation like this, you need a professional recovery software to restore all your lost data easily and quickly. A professional data recovery software can really take away all your stress. All you need is install and just follow the simple instruction they will recover all your picture, files, videos, etc. It’s up to you to choose a free or paid tool as both of them have their pros and cons. To make it easier and help you choose I have listed 10 the best recovery tool that you can use to undelete your files. I have ranked them on technical and user experience factors such as whether the tool is capable in recovering the RAW, corrupted or unallocated hard drive, how quickly they recover, what file system they support like FAT, FAT32, NTFS etc. So, I hope this will help you and now let's have a look at some of the data recovery software for windows- Reviews of Top 10 Tools 2018. Over the years Aryson has launched a wide range of solutions to help Windows users to recover data with the finest user experience. Now, Aryson has offered an excellent data recovery tool. This data recovery tool has extensive ability to restore files from deleted or corrupted hard disk, SD Card, USB, DVD, CD, Physical Drives and other media storage. The free version of this premium tool allows a user to save 2GB of recovered data. Its dual recovery mode is so perfect that it has eliminated all the need by competition. There are many free recovery tools but very few of them come near to the user experience Aryson provides. Recover & restore all the data from corrupt or damaged partitions or hard disk. Recover or Restore data from all storage device eg HDD, SD Card, USB, DVD, CD, etc. Revive and restore multiple files at a single go. Restore data from a damaged or crashed hard drive. Compatible to both master boot record and GUID partition table. Dual scanning modes for deep scanning(Standard & Advanced mode). The preview feature allows viewing your files in the tree-structure format before saving. New premium feature aka RAW recovery mode, allow a user to recover maximum possible data. Compatible to all the versions of Windows OS. 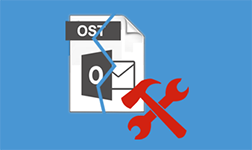 Providing a simple interface, Sysinfotools makes the files recovery a very simple task. You can restore all the data loss from hard drive corruption within a few seconds. It can recover the complete hard disk keeping the data integrity intact. Lost files, images, videos, documents, etc everything can be recovered in their original state. It is the best effective and available solution for technical and non-technical users. This data recovery software detects deleted partitions and files itself. The RAW recovery mode can be used for deeper scanning and recovering damaged or deleted file. Recovers maximum possible data from inaccessible hard disk. Recovers files after accidental formation or system format as well. Supports both FAT and NTFS file systems. Dual recovery modes- Standard and Advanced. Can create a new partition if required by the user. RAW Recovery recovers maximum possible data from corrupt drive by deep scanning. Preview the recovered data in a proper tree-like hierarchy. Auto-search files one drive is selected. Compatible to all MS Windows OS. This list would be incomplete without mentioning the TestDisk recovery tool. It is an open source tool that has one objective to recover the lost partition and fix bootable devices. It is a fully compacted tool consisting all the system that is needed to recover deleted or damaged data from a hard drive. Its easy interface helps experts and novices to recollect their data instantly. Using this tool you can revive data from USB or damaged disk partitions. Users can recover/rebuild the boot sector using this tool. Supports FAT, exFAT, NTFS, and ext2 file systems. Available on major platforms like Windows, Mac OS X, Linux Live CD’s, etc. However, being a command line tool, TestDisk recovery tool might not be suitable for few users. If you like attractive and simple GUI, I would suggest you should go for either Aryson or Sysinfotools. Forth on our list comes from CCleaner, Recuva. It is one of the most popular tools in the niche of data recovery software. This software can recover damaged files which were stored in drives, external hard drive or USB drives, along with DVDs and CDs. Its simple interface helps a user to run it easily. You can also retrieve data from formatted drives, and its advance scan mode helps a user to easily located and recover missing files. Uses industry & military standard deletion techniques. Recover files from damaged or freshly formatted HDD. Preview files before final recovery. Works both on FAT and NTFS systems. However, scanning speed needs major improvement. Supports recovery from multiple devices like cameras, memory cards, phones, HDD, USBs and many more. Also provides a data-wiping tool. Hex Viewer preview all the files which can be possibly recovered. Capable to recover files of various format such as DOC, HTML, AVI, MP3, JPEG, JPG, PNG, GIF, etc. Compatible with Windows 10/8.⅛ and all the older versions. But in the scanning department, it needs some tweaks. 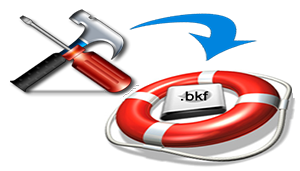 This tool can recover deleted files from NTFS and FAT-formatted volumes file system. Preview files without performing recovery. With surface scan help user to only selected formatted partition and it has abilities to recover archived, hidden, encrypted and compressed files. Its interface is very easy. Overall a great tool, but it lacks in deep scanning with respect to the above tools. It is definitely one of the best data recovery software for Windows, Linux, Mac etc. that one can use to recover maximum data from a damaged, deleted or inaccessible hard drive. PhotoRec is basically known for is unique recovery modes. Also, it can help you recover deleted RAW files from digital cameras to HDD. It was first developed to recover photos only but with time their awesome developer team added new features and now you can recover photos, videos, pdf, etc with it. Some more features of PhotoRec recovery tool. Compatible with all major OS like Microsoft Windows, Linux, Mac OS X etc. Ability to recover more than 440 different file formats in one go. Unformat function and ability to add your own custom file types are the exclusive features of this tool. File systems like FAT, NTFS, exFAT, ext2/ext3/ext4 and HFS+ are easily compatible. However, even though it is such a great tool, it lacks in GUI. As PhotoRec uses commands, it can only be used by professional. 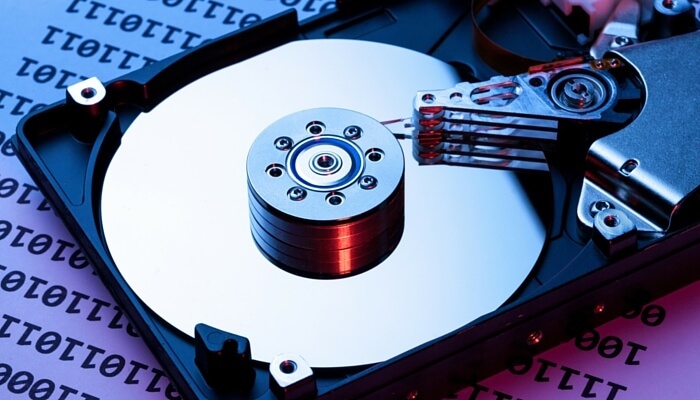 Beginners can any of the above data recovery tools. Expert in data recovery of an entire partition. The overwritten drive can be recovered. Generates a recovery report that helps the user to identify the content. The bootable disk cannot be recovered using this tool. Search dialog help user to locate files by its name. Recover files from local hard disk and network drives. Files formats such as ARJ, AVI, BMP, DOC, DXF, XLS, EXE, GIF, HLP, HTML, JPG, LZH, MID, MOV, MP3, PDF, PNG, RTF, TAR, TIF, WAV and ZIP can easily be recovered. Cluster scanner helps you to recover selected areas. However, the interface feels like it was clumsily designed. So, you need to be aware of this tool. If the hard disk is physically damaged then this tool will be of no help. It is one of the best data recovery software for windows, let's have a look at the premium features of this tool. Displays each and every storage present on your system, even the unallocated space is not left behind. Displays scanned data in all files like Pictures, Video, Documents, Archives, etc before saving them. Can easily sort scanned files by files type and date. 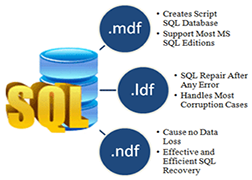 Recover data in the ISO format. The preview option is also available. Although it posses all the features but has one and only drawback. It’s free version only allow the user to save files of 500MB in size, which is very low as compared to the other data recovery software. I would personally like to suggest Aryson Windows data recovery tool to all my readers. With the RAW recovery and Dual mode recovery, you will be able to recover any type of file instantly as they have designed this tool using industry and military deletion techniques. Either your hard drive is damaged or freshly formatted, it will give you 100% output. For me, it is undoubtedly the best data recovery software for windows.